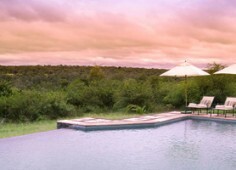 Come to this premier lodge for sightings of leopard. Sightings of the Big Five are constant at &Beyond Kirkman’s Camp with professional game rangers and trackers. Gracious staff serve afternoon tea on the wrap-around veranda. 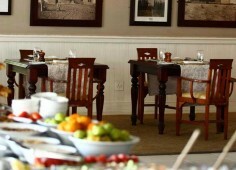 Enjoy sumptuous dinners in the boma around the fire while rangers share their stories of the bushveld and its wildlife. Many years ago Harry Kirkman lived in this old homestead and hunted wildlife with a keen conservation ethic. The spirit of safari comes alive at historic andBeyond Kirkman’s Kamp. 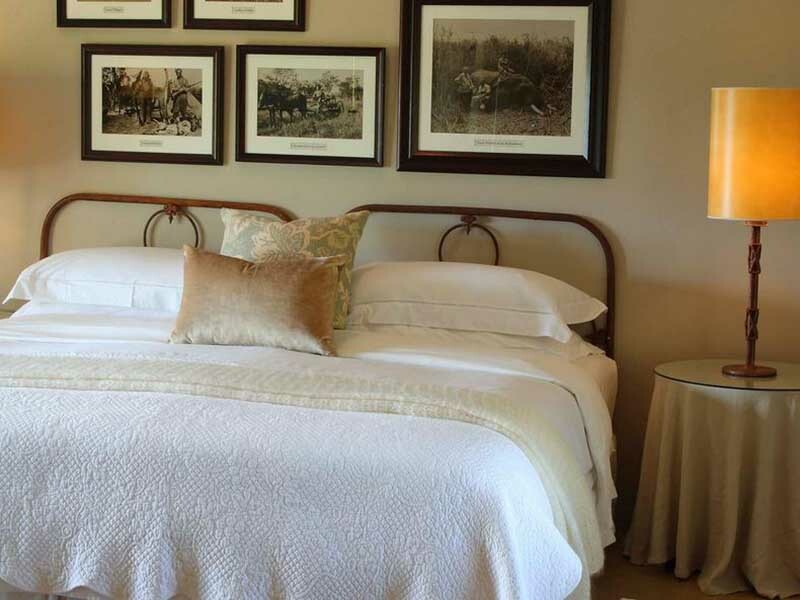 Step back in time into the gracious early Transvaal atmosphere of this original 1920s homestead and marvel at the spectacular views of the unspoiled landscape that surrounds the Sand River from each of the 18 guest suites. Rolling lawns carve out a niche in a wild and tumbling wilderness that host memorable game viewing in one of the most renowned Big Five wildlife regions in the world. Spacious sitting, dining and bar areas steeped in the colonial atmosphere of gracious style and luxury contain mementoes of a time long past, while the untamed wilderness outside whispers a promise of adventures not to be forgotten. A sparkling swimming pool boasts a magnificent view over the valley of the Sand River. 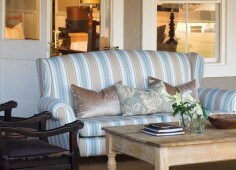 The spirit of safari comes alive at historic andBeyond Kirkman’s Kamp. Step back in time into the gracious early settler atmosphere of this original 1920’s homestead and marvel at the spectacular views of the unspoiled wilderness from each of the 18 guest cottages and the lodge’s rim-flow swimming pool. Rolling lawns carve out a niche in a wild and tumbling wilderness that hosts memorable game viewing in one of the most renowned Big Five wildlife regions in the world. Spacious sitting, dining and bar guest areas contain original mementos of a time long past. Many years ago Harry Kirkman lived in this old homestead and hunted wildlife with a keen conservation ethic. 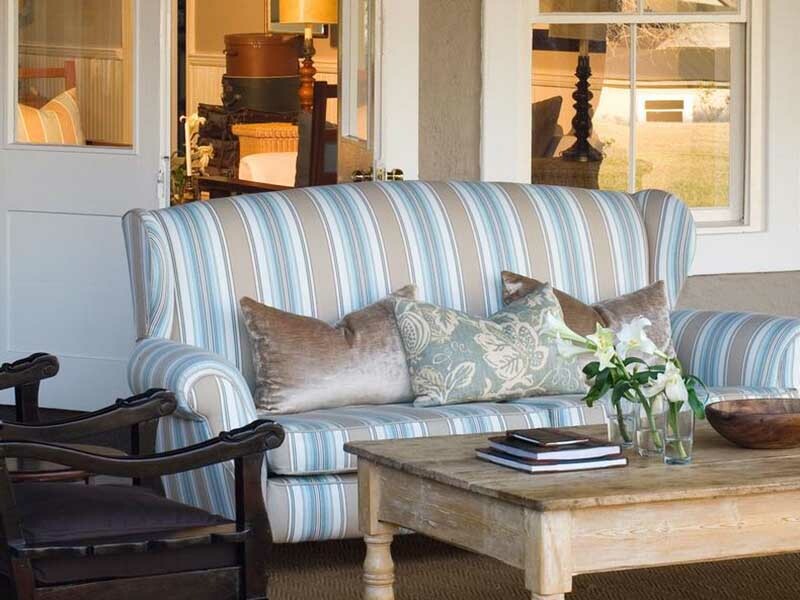 Today, &Beyond Kirkman’s Camp is the restored version of this homestead and this lifestyle, only today, instead of hunting safaris, guests are taken on awe-inspiring game drives, bush walks and bush meals to learn more about South Africa’s important biodiversity. Impeccable lawns roll down to a neat swimming pool which then drops down towards the Sand River below. 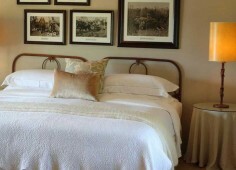 Situated in the picturesque and wild Sabi Sand Game Reserve, part of Kruger National Park, Kirkman’s Camp still retains the historic aura of the real 1920s Transvaal homestead, reminiscent of a museum with its antique furniture, mounted animal heads and revealing artworks. 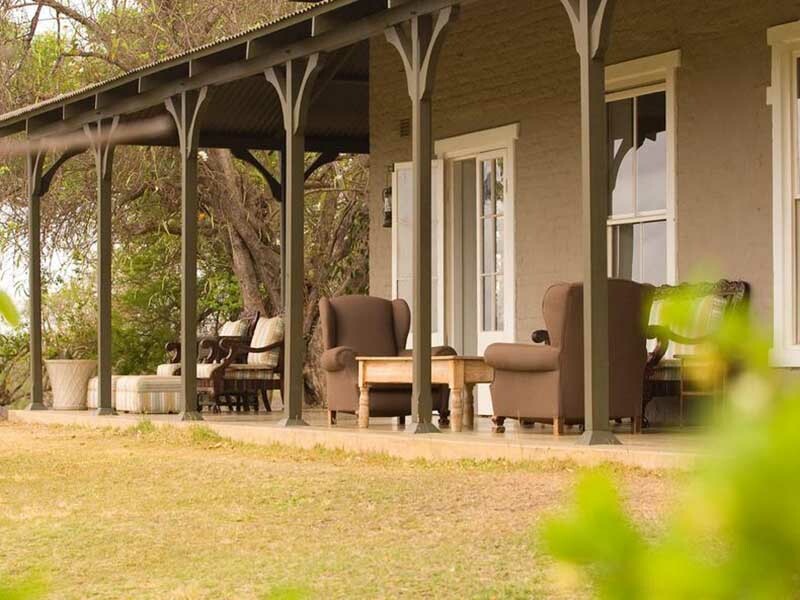 Warthogs and antelope graze on the lawns and views dominate from the elevated Families are welcome at & Beyond Kirkman’s Camp where 18 luxurious suites accommodate 36 guests in perfect comfort and elegance. Old fashioned beds, private patios and tasteful en-suite bathrooms with claw-foot bathtubs add to the colonial feel of the accommodation units. Showers and slick decor add the modern touch. 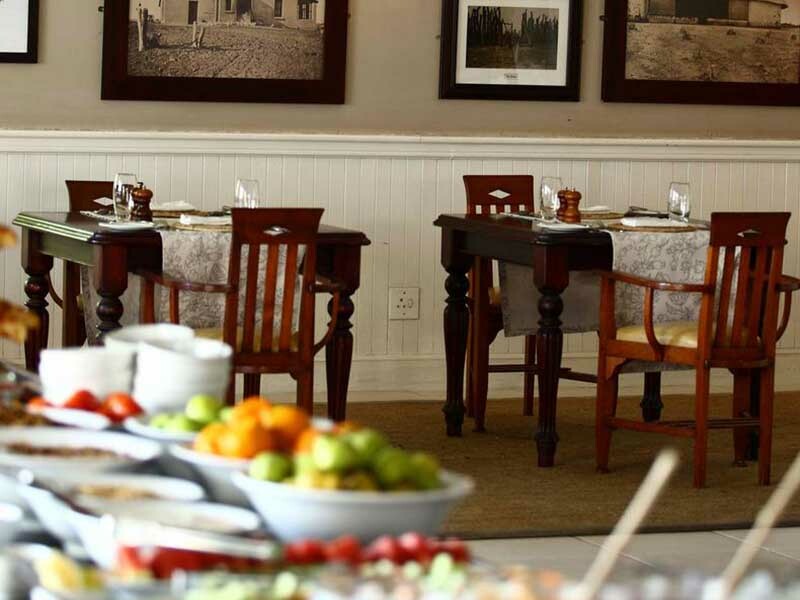 Despite the relaxed and social atmosphere at this Kruger National Park lodge, service, meals and facilities are world class. Enjoy the fascinating library or sit by the log fire in the lounge with a drink; during hot summer days, the swimming pool is a must, with its splendid views over the Sabi Sand Game Reserve valley. Guests come to this premier lodge for sightings of leopard. Sightings of the Big Five are constant and professional game rangers and trackers host guests during their stay. Gracious staff serve afternoon tea on the wraparound veranda and in the evenings, guests enjoy sumptuous dinners in the boma around the fire while rangers share their stories of the bushveld and its wildlife. Adventure, Big 5, Birding, Leisure, Nature, Relaxation, Star Gazing, Wildlife, And more. Children learn more about the planet, its wildlife and its people through the Wild Child programme.